Studying the diets of elite runners can not only be a fun comparison to your own nutritional intake, it can also be a great way to better appreciate and confirm many of the scientifically proven nutritional concepts experts believe help improve performance and health. And, if we’re going to learn from elites, it makes sense to learn from the best – Kenyan runners. If you’re not familiar, Kenyan runners of the Kalenjin tribe won approximately 40 percent of all major international middle and long-distance races from 1987 to 1997. Studying the dietary habits of Kenyan runners, who are clearly some of the fastest runners in the world, is a fascinating endeavor. However, there have traditionally been two problems with studying the dietary habits of Kenyan athletes. First, Kenya is a third world country and thus gathering information from individual runners about their diet isn’t easy. Many elite (and not so elite) runners in the US gladly share their diets through blogs and social media. Unfortunately, you won’t find many Kenyans blogging about their training. Second, even if when we can find a sample diet from an elite Kenyan runner, that doesn’t answer the question about the dietary principles of a nation as a whole. To really understand how the Kenyan diet works, we need a sampling of many different runners. Luckily, some recent (at least in terms of scientific literature) studies have tackled this subject and provided some fascinating data about the Kenyan diet as a whole. 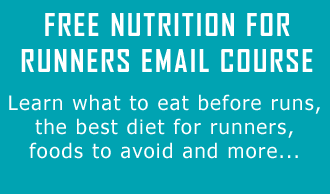 Even better for the RunnersConect audience, I’ve had the privilege to briefly train and live with some Kenyan runners and have seen their diets in practice. In this article, we’ll examine the scientific data on the diet of Kenyan runners, break down what it means, and then compare their nutritional intake to that recommended by nutrition experts. The bulk of our data comes from two studies, the first in 2002 and the second in 2004, which analyzed the diets of a group of Kenyan runners and compared their nutritional intake to traditional endurance athlete recommendations. In the 2002 study, the researchers simply asked a large group of Kenyan runners to recall their diet for the past 24 hours. The second study in 2004 was a little more thorough and followed a group of ten runners and recorded their food intake for seven days. As such, the data we’ll focus on for this article will come primarily from this second study and we’ll use the 2002 study to compare and verify accuracy. For reference, the Kenyan’s trained two times a day. The morning session began at 6 am. This was their longer, more intense session. On non-workout days, they ran nine to fifteen miles starting easy and progressively getting faster as they warmed-up. Hard workout days were your typical VO2max or tempo run sessions. In the afternoon, they ran an easy four to five miles. All the athletes were training for the Kenyan Cross Country Championship, which is 12km. Therefore, they were not marathon training. Not surprisingly, a majority of the calories in the Kenyan diet came from carbohydrates. In the ten runners studied, 76.5 percent of daily calories were consumed as carbohydrates. Given their body statistics, this meant each runner was consuming about 10.4 grams of carbohydrate per kilogram of body weight. Moreover, given how they spread out their eating times and training sessions, each athlete was consuming about 600 grams of carbohydrate per day, with almost 120 grams of carbohydrate at every meal. Protein intake amounted to 10.1 percent of calorie intake. That equals roughly 1.3 grams of protein per kilogram of body weight. Despite not knowing much about the science of sports nutrition, the diet of these Kenyan runners was surprisingly close to that recommended by sports nutritionist. Most sports-nutrition experts recommend that runners who are training at high mileage consume about nine or ten grams of carbohydrate per kilogram of body mass per day. While an average of 10.4 grams is just a little over the recommended consumption, it’s clear the Kenyans were following scientific protocol without realizing it. This number may seem like a lot (and it is for sedentary people), especially given the latest trends towards Paleo and less carbohydrate-rich diets. However, as athletes trying to compete at the highest level of their sport, replenishing glycogen stores and fueling their body for recovery is essential to the high-intensity training they were conducting. In regards to protein, the Kenyans’ diet was once again closely in line with the recommendation of top sports-nutritionists, who suggest consuming 1.2 to 1.7 grams of protein per kilogram of bodyweight. Since these runners were training for a 12km distance, not a marathon, the 1.2 grams they were consuming is appropriate for their muscle recovery and rebuilding needs. This particular study didn’t break down an exact daily diet, but the researchers did provide data for the amount of calories from many of the most commonly consumed foods. Plus, having trained with some Kenyans myself, I have a pretty good understanding of what these foods were. The data may surprise you. Sugar – plain sugar – accounted for 20 percent of daily calories. The Kenyans love their tea (in fact, tea consumption was greater than water consumption – 1.243 liters per day on average) and they love putting lots of milk and sugar in their tea. Having trained with some Kenyans myself, I can attest to just how much tea they drink and how much milk and sugar they use. It’s incredible.However, a large amount of this sugar also comes from fruits. Immediately after most runs, Kenyans consume some type of fruit, typically watermelon, cantaloupe and honeydew. The simple sugar and water from the fruit speeds glycogen to their muscles post workout. Ugali supplied the greatest number of total calories, making up 23 percent of the daily diet. Ugali is simply a dish of maize flour (cornmeal) cooked with water. Kenyan runners eat this for dinner almost every night. Generally, it’s mixed with a chicken or beef stew and vegetables.When made correctly it actually taste better than it sounds. My college teammate Jordan and I once tried living off Ugali for an entire summer. Unfortunately, our cooking skills sucked and it tasted terrible. But, we were broke so we ate it anyway. While so far, the diet of a Kenyan runner looks rather unhealthy due to our “sugar is bad” culture, Kenyans do eat rather healthy. About 86 percent of daily calories came from vegetable sources, with 14 percent from animal foods. Moreover, they didn’t have access to junk food (at least in the training camp) that most Americans do. While the Kenyan runner diet runs contrary to general recommendations for non-runners and our societies shifting perspective on sugar and carbohydrates, the Kenyan diet is actually a good framework to follow if you’re running a lot of miles and training hard. Their diet is in close step with that recommended by leading sports-nutritionist and it’s also made up of mostly natural, whole foods. With a high carbohydrate intake, adequate protein ingestion, and perfect timing of meals, the top Kenyan runners are eating optimally — doing the things at the dinner table which are necessary for them to perform at the world’s highest level. If you’re just getting started or trying to lose weight, the diet is probably a little too high in carbohydrates and simple sugars for your needs. However, you can still take a page from the Kenyan runner and time your meals, eat whole foods, and fuel your muscles for recovery. Here are some great videos that discuss or demonstrate some of the dietary habits of Kenyan runners. I am trying to qualify for the Olympics for running. I wanted to up my training and my diet because I wanted to be like the Kenyans. Could you please send me like a list of all the stuff that they eat and when they eat it. Your report was really good but i want to know like what they ate and when they ate it not the percentiles and stuff. is “Plain sugar” considered white sugar? or do they have the real stuff… organic sugar aka sugar cane. Thank you so much for the article. Love stuff like this!!! I also think another part of Kenyan “diet” which is not not about food) is that they sleep ! They really sleep a lot and do not get extra-stress like western runner (who sometieme work while training). I think that when you sleep a lot, you do not need extra calories to sustain any other activity than running. Sleeping is one of the key recovery tool of Kenyan runers. Kenyan elite marathon runners are mainly all vegetarian and elite runners eat 98% to 99% vegetarian diet. Many authors have overblown statements on eating meat and beef, trying to say it is eaten often, but among the best runners meat is hardly eaten at all. Meat comprises less than 1% of a fast runner’s diet. 99% is vegetarian. Vegetarian includes the milk (called a lacto-vegetarian). The amount of Milk is less than 13%. Without the milk and the barely 1% rarely eaten meat, the diet would be a vegan diet for highest performance. That leaves 99% of the diet of plants and milk. only 1% occasional meat. special occasions or holidays. Or if several times 4 times in a week then the piece of the beef is cut to be so small that it is still only 1% of diet. If 1 piece then about the size of a baby’s hand. if 4 times wk then that much is cut into smaller piece like .25 quarter. Still same total amount. Hardly any beef or meat. Diet minus the 1% meat and minus the 13% milk leaves 86% pure all plants. (99% vegetarian or 86% vegan). The plant part of the diet is almost all Grain. Best Runners eat grain. Top food of the marathon endurance runners is grain. That grain is called Maize. Maize is Corn. Kenyan runners eat Corn more than any other food. Grain is top among the winners of all distance events. 23% of diet is corn. Next is more Grain. This grain is rice. Winners eat rice. Rice is 14% of Kalenjin runners teams diet. Next food is Bread. More grain. This grain is Wheat. Kenyan running team eats bread, made out of wheat. 6% of diet is wheat. more grain. The next food is potato. Winners eat starch. 5% of diet is potatoes. Next food is beans. Beans are 5% of diet. Next food is cabbage. Cabbage is good. flavor. Cabbage is 2% of Kalenjin diet. Almost 76% carbs. Best fitness for being thin is carbs. Eat carbs, become lean. Good runner. High energy. Most endurance. The 20% of the calories in a runners diet, especially before a race is straight sugar. Sugar is not poison. Sugar is healthy, not for a person overweight, it is for a person who is a lean elite runner who needs racing fuel. Sugar does not make fat, sugar in an athlete wins the races. Diet is 10% protein. Most of this protein is from Vegetarian. Not the meat. The protein is in the potatoes, the protein is in the corn, the protein is in the beans, Maybe little protein comes from the milk. That is the most of the protein. It is vegetarian protein. Not the meat. The meat is <1%. The total percent ratio of the protein is only needed to be 10%. Fat is about 13%. This is low fat diet. Best for making into a world class athlete. The fat is not the lard. The fat is not the oil in a jug or the coconut oil. The fat is not the bacon. That is bad fats. Not good for the athlete or anybody. Damage the runners heart. The fat is already in the plant, it is the healthy plant fat that came in it. There is some fat in the pasteurized milk. No "Raw Milk" that will cause the feces bacteria sickness not good for athletes or anyone. Both the fat in the plant and everything only comes to 13%. So this is a HIGH CARB diet. High Carb. Low Fat. Low Protein. diet. It is 76% carbs, high carbohydrates for good athletes. 10% protein. 13% fat. That's 99% plus theres some "smallstuffs" like the seasonings, the herb, the spices, that is the other 1%. Taste good. 99% Vegetarian, Corn, Grain, Rice, Wheat, Bread, Potatoes, Beans, Cabbage, Milk diet. <1% meat. The corn and the maize and the foods are made into Kenyan traditional named foods. The kenyan names are such kind as "Ugali" which is taking the corn and making cornmeal. Then make into a ball and eat it. Or make a paste. Eat it from a bowl. Like oatmeal. You call it porridge. In kalenjin tribe this can be called kimyet. Other names in africa for this are Kikuyu, obusuma, and obokima. same thing. Westerners tell that ugali is put next to the meat. For kenyan top runners this is not put next to the meat. This is vegan. The next name is Sukuma Wiki. This is a plant mix. It has Collard greens in it. Collard greens is not the same as kale but you could use kale if you are not in eastern africa and cannot find sukumawiki. Sukumawiki is swahili word which means "extend the week". Last long. It has been eaten for 2,000 years in Congo Republic and Kenya. You could add some tomatoes. And onion. garlic. cumin. corainder. turmeric. little bit of salt. This would make it good taste for western style if you want. This is vegan food. Green Vegetable. The next name is Githeri. This is the Beans. The beans are mixed with the corn. corn and bean mix is good. The most protein comes from Beans. Good plant protein. Also a runner may eat the corn just from the corn (corn-on-the-cob) too for a snack in between meals. The coffee is the drink sometimes. The tea is at other times. The tea has put the sugar. This and the porridge is where the sugar goes. To the sweet taste. No supplemen is necessary. No protein drink or whey powder for the elite endurance team runners. Maybe electrolyte only during competeition event race. The nearly all vegetarian diet supplies all nutrients. That is the fruits, vegetables, roots like the potatoes, the beans or you can also call them legumes, and the grains, wheat, corn, rice, and all types of grains and carbs. The lowcarb diet is the loser athlete in the race. Paleo was worst and unfit for everyone. Also The no-grain diet is one no good for health. For the fittest, a Vegetarian is the formula of the diet of the best fastest athletes. Also for the more health and stamina. Go eat the lot of meat protein diets and we will pass you and politely say thank you for handing us another medal. Or eat the good plants and we'll see you at the olympics or the next race and a good challenge. 2.Altitude.kalenjins come from rifty valley a high altitude area.their bodies respond to low oxygen concentration by increasing number of blood cells and haemoglobin xontent in them.they are acclamatised.they are able to perform in low altitudes where oxygen is plenty. 4.poature.kalenjins are slender making them have little resistance to the wind. 5.Haddy.kalenjins are hardened by the erands they run each day through walking farming.this builds their endurance. “If you’re just getting started or trying to lose weight, the diet is probably a little too high in carbohydrates and simple sugars” — a *little* too high in carbs and sugar? More like TOXICALLY high, unless you’re running at a fast pace at least 50 miles per week. This was a great article and I intend to increase my carb intake at times when I’m doing more training, but let’s be perfectly clear that the average runner should NOT consume anywhere near that amount of sugar and carbs (especially refined carbs like white flour). For the average runner, also consider timing – it’s fine to have some sugar right after running, but try to avoid it at other times. Sugar and refined carbs – not fat! – have been scientifically proven to be the #1 cause behind the obesity epidemic in industrialized countries. For more info, see the excellently-researched book “Death by Food Pyramid” by Denise Minger. Also see videos by endocrinologist Robert Lustig (but keep in mind that his comments on exercise are geared toward people who do light occasional exercise, not real runners) – there’s a 30 minute shorter version on YouTube if you don’t have time to watch his original 90-minute presentation. Sorry, didn’t mean this to be an article about what kind of diet to follow. Just an interesting look at what highly elite, 2:05 marathoners eat. The day that industrialized countries stop eating industrialized foods (sodas, desserts, industrialized sugars, additives, sport drinks etc etc) and start eating organic, food with no aritificial and unnatural additives, animals with no hormones, etc etc) that day, when technologies fuses with real nutrition for the real benefit of people and not for industries, people will live healthy. I think,and I am a certified nutritionist, that their diet is well adapted to their objective and has no unnatural products. All their food is really natural, gluten free and filled with natural vitamins and mineral. (no artificial). We have to stop fooling ourselves with all this information totally out of context. Sugar in that amount,in their overall diet is not so high. And it is burnt. Their carbohydrates are not industrialized are natural. They have fiber which provide lower glycemic loads. So if you are going to talk about nutrition and criticize a diet that is making this people win gold medals please first make a real study of all nutritional variables. Celina Petrella Nutritionist (Licenciada en Nutrición). Thank you for your input Celina! We will look into posting about more natural sources of fueling for runners in the future. We will look into other studies in our future articles to make sure we give a more balanced outlook into nutrition of elite athletes. That’s great to know I like the ideal diet of Kenyan middle distance athlete. Glad you enjoyed the post Dovaine! Sounds like you have your diet set! Hi! Great article. Was wondering if you have any views regarding Prof. Tim Noakes’ opinion about following a ketogenic/low-carb high-fat diet? According to him, quite a few ultra marathoners and endurance athletes who are champions in their respective categories, have this type of diet to thank for their successes. Was wondering if many in the community agree with him (Along with Jeff Volek from the USA as well). Cheers! HOWEVER, champion ultra runners such as Kilian Jornet eat TONS of sugar and carbs…probably more than Kenyans. Kilian Jornet once ate an entire container of Nutella after a run. So, while a low carb diet may work for an amateur trotting 10 minute miles during an ultra, most champion ultra runners are eating a ton of carbs…both while training and racing. Hi Jeff, thanks for all your info here and elsewhere. If the athletes were to be training once a day then how do you feel this would change there diet and mealtimes? Hi Nik, that should not really change the mealtimes too much, as many athletes run at different times, as long as you eat before and after training, you will be fine. As for what you eat, just eating less if you are running less. This may help calculate how much to eat based on your running https://runnersconnect.net/training/tools/calorie-calculator/ Hope this helps! lovely staff, i wish i knew this when i was young, now am forty years please send me the training programs, i want to run the next ten years and train some people in my Area, because the Terain and the food is similar to that of Kenyas. I leave around Munali hills in Zambia and i feel this can eradicate poverty in my Area and possibly the National at large. i have what it takes to be a world athletee but age has caught up with me but i can help the young ones. am a coach for one of the Clubs in the capital city Lusaka but i plan to settle in my village when i retire and i already have a club in my village with ten athletees but not doing fine. I am a Kenyan and actually my husband likes the food a lot accept ugali , he says it’s not good and I know it’s because it’s not sweet to him , it’s healthy , for the 7 yrs I have been in the United States that’s been my diet , and I have never been overweight , healthy , I love it , I drink while milk everyday , 2% is just water to me , U wonna know how to fix it I would be glad to teach u , try it , it’s yummy . Thanks for sharing your insights with us. Yes, we would love to see a recipe from you, if you would like to reply to this with it, I am sure others would love to learn! I am a Kenyan,great insight,Kenyans have topped again with the most medals at beighin IAAF championships.I agree with this article ,kenyan athletes are determines, no one pampers them,they dont train in fancy gyms and tracks,its raw training on hills and humble village’s.On the diet,I also agree a typical Kenyan meal has Ugali often.Milk is taken daily perhaps Even five times a day.Lots of beef is taken, sukumawiki or kale is very common,beans,arrow roots, sweet potatos,lets just say very simple meals.if your an aspiring athlete I believe their are training camps eg in Iten where even foreigners are welcome. if you wants to know more on Kenyan diet mail me. Hi Joan, thanks for reaching out. That is great that you have shared your insights with us. Thank you for this. What would your typical pre race meal be a few hours before you run? Since I’ve lived in Uganda for a good number of years and the food there is pretty similar if not identical to the Kenyans, I will take on this. For breakfast, they mostly have a simple porridge made of just corn -with or without sugar. Along with the porridge will also be something like bread. In Ethiopia, where I’m from, they mostly have bread and tea for breakfast. For lunch, they have ugali (check above in article) with beans or cooked green bananas or meat stew or any kind of legume stew. The ugali can be made of corn, millet or sorghum. They also have irish potatoes, sweet potatoes, peanut sauce and some vegetables. For dinner, they usually have corn and other stuff pretty similar to lunch. Dessert is a foreign idea in most African countries but they do have some mangoes, pineapples, watermelon, oranges, wild berries and papaya after meals or for snacks. Ugandans and Kenyans are known to consume lots of bananas! They also love chewing sugarcane. Note: Most households survive by subsistence farming i.e. they grow their own food. Grocery shopping is a very foreign concept to most people in Africa. I am a Kalenjin, Kenyan and I love this! I am not an athlete though but I have had some instances where you tell someone your name and the first thing they ask you is Are you an athlete? Hallo Jeff, only now Im reading your blog about the Kenyan runners diet, its just great and what i suspected all along. I have lived for a while in West-Africa and i enjoyed a lot the food, like they called Fufu, similar what my mother always made back in Germany, mashed potatoes. The most i enjoyed the response of the Kenyan Elite Running Team……hahaha… when they overtake all the meat-eaters !! !